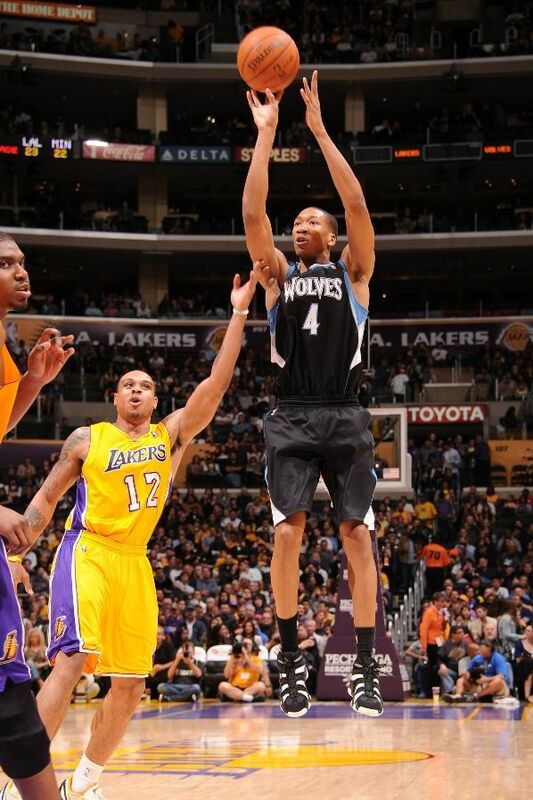 Two young stars from the Minnesota Timberwolves wear Kobe's old sig against him at Staples Center. Outside of Kevin Love's historic double-double campaign, it has been a tough year for the Minnesota Timberwolves. Record wise, they're the fourth worst team in the NBA, but do have a nice core of young talent to build around. Two players that will certainly make a contribution to Minnesota's future are forwards Michael Beasley and rookie Wesley Johnson, who both also happen to be teammates on the adidas Basketball brand. 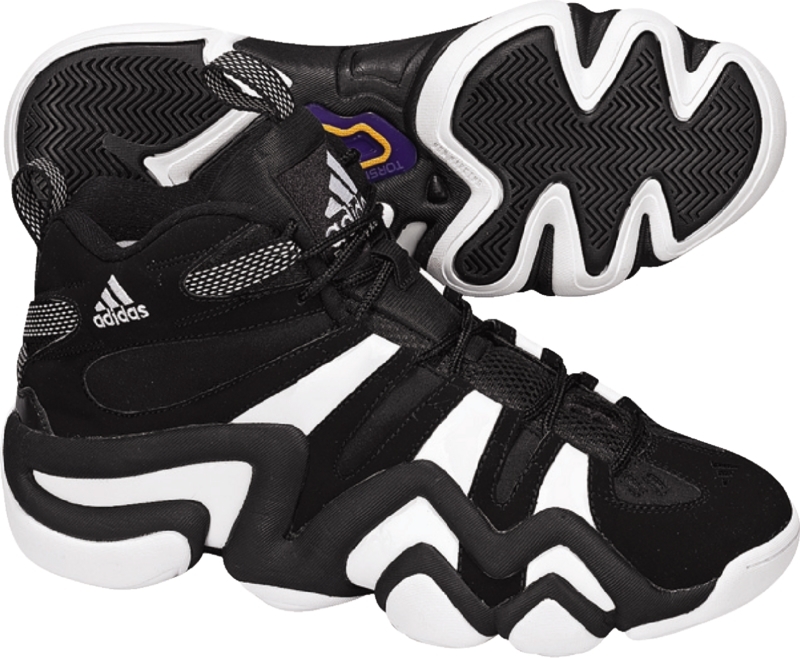 Continuing adidas' push of the recently re-released Crazy 8, the brand laced up their two young stars with pairs in the black and white colorway for a game in the city where the shoe first became famous and against the player that originally wore them. This was a change of pace for Beasley, who had been wearing the adiZero Infiltrate in recent games. However, Wesley has been wearing the model since the All-Star break, where he was also seen rocking them at Snoop Dogg's party. Despite a closer-than-expected loss to the Lakers, Beasley and Johnson came up big for the Wolves in the Crazy 8. Beasley poured in 18 points and grabbed 7 rebounds, while Johnson scored a career-high 29 points and recorded 3 steals. Look for Portland Trail Blazers Andre Miller and Nicolas Batum to both wear the Crazy 8 against the Lakers on Sunday. Take a look at some of the images from last night's game. You can pick up the Crazy 8 now over at Shopadidas.